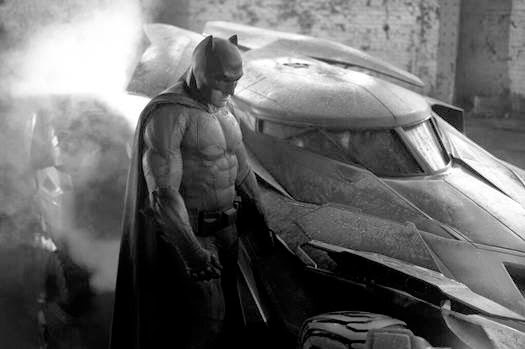 Yesterday Zack Snyder teased that he'd be showing us the Batmobile from the Man of Steel sequel, tentatively titled Batman vs. Superman. Today, he kept his promise with a mostly total reveal of the car, but we also get to see the suit that Batman will be sporting in the movie. 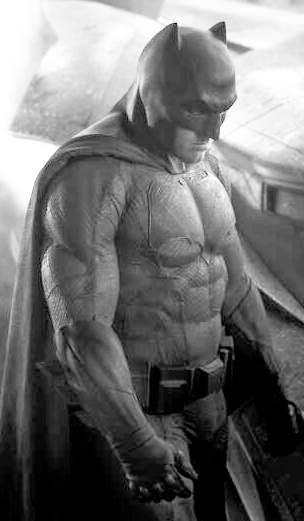 This is the first pic of Ben Affleck as Batman. The suit has that dark, edgy look. The car, well, it looks like one of the many renditions we've seen in the comics, and AKA, in the movies over the years. That's not a complaint, because seriously, how far out can you go without mimicking C Nolan's work or just outright copying another design? In addition to the guy in the suit, The Man of Steel sequel will star Henry Cavill (Superman), Gal Gadot (Wonder Woman), Jesse Eisenberg (Lex Luthor), Jeremy Irons and more. It's due out in theaters in May of 2016. Yes, we have a long wait and I'm sure a lot more promotional material. At least Snyder didn't take the "Leaked images" route. He was just up front about it.